Slushy conditions from overnight snow prompted delays in some parts of the D.C. area Friday morning, and more snow could be on the way. Snow fell in the D.C. area Thursday night into early Friday morning. And while it wasn't a major wallop, some areas north and west of the District are dealing with slushy conditions Friday morning. Areas north and west of D.C. saw the most snow; Loudoun, Frederick and northern Montgomery counties got 1 to 2 inches. Schools in Loudoun County, Virginia, and Frederick County, Maryland, will operate on a two-hour delay because of slick road conditions. Schools in Shenandoah and Jefferson counties will be closed Friday. 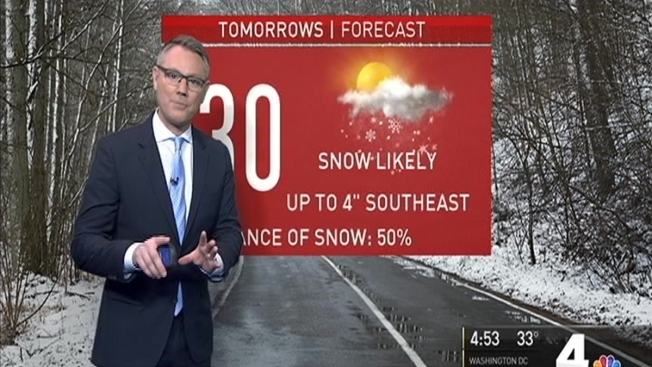 The D.C. metro area saw just trace amounts of snow. News4's Jackie Bensen reports from Montgomery County with the latest on crew preps and road conditions for tomorrow's morning rush. Temperatures will only warm into the mid 30s Friday. District officials said crews have pre-treated major streets and highways with its "hot mix," which consists of brine and beet juice. 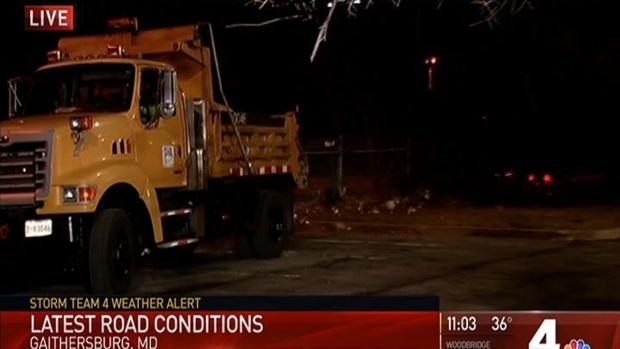 Officials in Maryland and Virginia have also been pre-treating roads in advance of the expected snowfall. 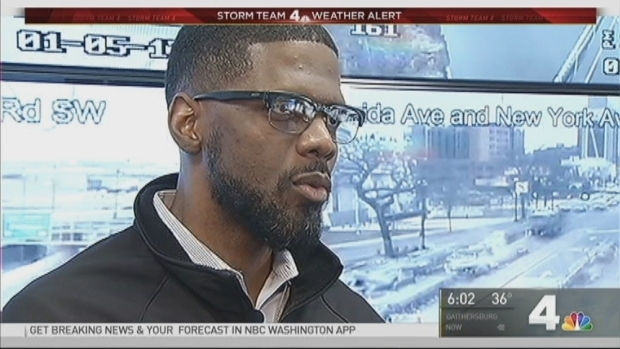 News4's Mark Segraves talked to road crews in D.C., Maryland and Virginia about their strategy for keeping the roads clear as the area expects its first snowfall of the year. The Maryland Department of Transportation's State Highway Administration (SHA) is spraying a brine solution on area roads. SHA Administrator Gregory C. Johnson said in a statement that the snow is expected to have an impact on Friday morning's rush hour. Crews will face a challenge because they'll get stuck in the same traffic that commuters do. Johnson asked drivers to delay commuting to let crews effectively treat the roads. Dave Forster, a VDOT spokesman, told The Daily Press that the agency would be checking equipment and topping off salt supplies and silos. Monitor the weather to keep track of the latest timing and intensity along the roads you use. Adjust commutes to avoid driving during the snow. Slow down -- especially on known trouble spots such as bridges, ramps and overpasses -- and use your headlights. Make sure your gas tank and windshield fluid tank are full, and update your car's emergency kit. Cold, sunny weather will be back by Friday morning, although the afternoon will turn cloudy again. Temperatures are expected to be about 10 degrees colder than average. The D.C. area could see and inch or two of snow Saturday morning, with heavier snow likely in southern Maryland. If you're heading out of town, Richmond and Virginia Beach could see up to six inches of snow. Ocean City and Rehoboth Beach could see the same amount. We could get more snow Saturday in parts of the region; a winter storm watch has already been declared for St. Mary's County, Maryland, from late Friday night through Saturday evening. Stay with Storm Team 4 for the latest. To see where District Snow Team plows are working, go to snow.dc.gov.